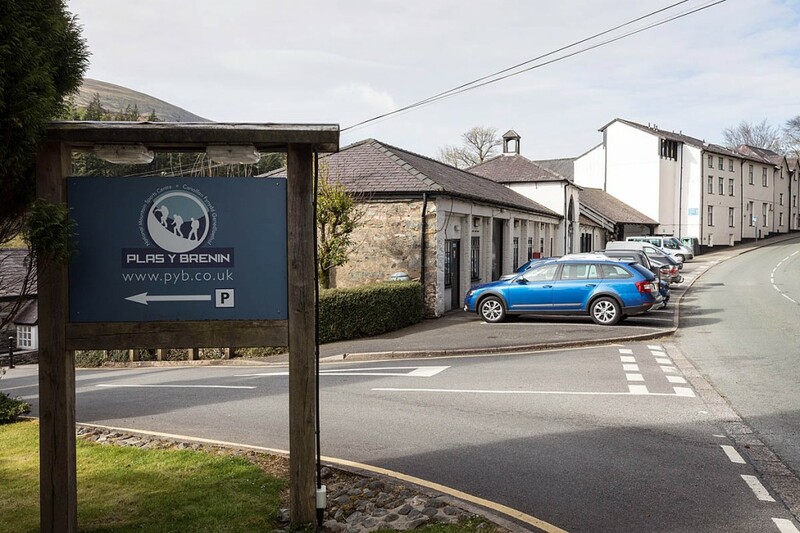 A packed meeting at Plas y Brenin witnessed the move fail, but rancour abounded and the president Rehan Siddiqui resigned in tears. 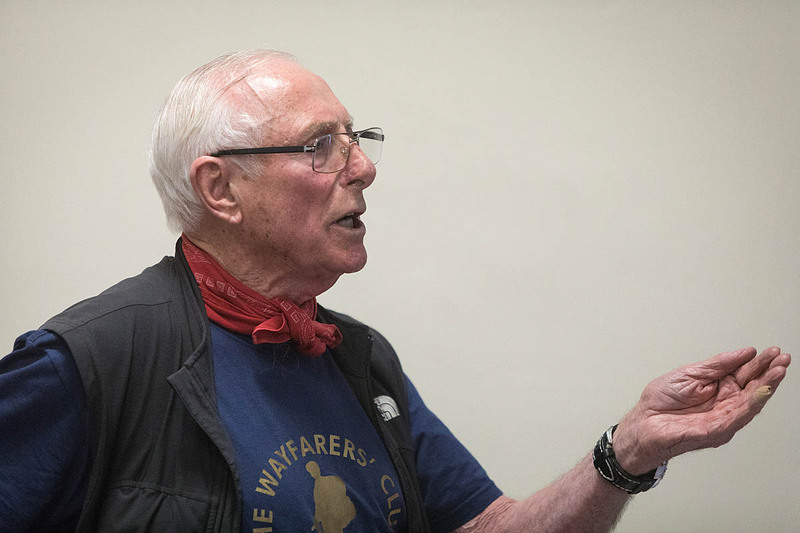 Mountaineer and writer Phil Bartlett witnessed the proceedings and here gives his view of their significance. There are occasions when a single scene, or the smell of an atmosphere, are worth a thousand words. A sentiment which has been better expressed no doubt, but it captures the experience of the British Mountaineering Council’s AGM of 2017. Here at last was the centrepiece of the recent attempt by some disgruntled members of Britain’s mountaineering fraternity to force a change of direction, or even unseat some of the key staff – a denouement which was always wildly optimistic, or outrageously presumptuous, depending on your point of view. In the event the president resigned, but none of the paid executives. Prior to that day, the passage of time exacerbated by my tendency to stay out of touch, I hadn’t realised how much the game has changed – and how! My overwhelming impression, reinforced by the predictable debate which swallowed up the hours, was of two groups who were now so distinct as to make difficult even a meaningful conversation. On one side the troublemakers – ageing to a man (and it was men), dressed in the scruffy attire of the traditionalist or else with the elegance of a well-heeled gentleman at a Swiss ski resort (which may well be where Bob Pettigrew, leader of the troublemakers, had lately been). On the other side the young and on-board and the BMC staff themselves, some dressed, I suppose perfectly reasonably though can’t help finding it uncomfortable, in matching BMC emblazoned t-shirts. And then the suits, those composing the BMC governing body, sitting in some sort of command on the dais. This being climbing they weren’t actually in suits, but were still somehow anonymous, indicative of a group whose role is to run an organisation rather than to proclaim a creed. As the day unfolded – a glorious summer day in north Wales, so all present must have wished they had been outside rather than crammed cheek-by-jowl into a lecture theatre – I wondered whether the AGM of a multinational might be rather like this, allowing for differences of scale and glamour – Bob Dudley, say, the CEO of BP, defending his multi-million pound salary against the anger of shareholders and a sagging share price, but carrying the day by stonewalling. I came to reluctantly admit, but never admire, the professionalism of the suits. The CEOs of all sports council sponsored bodies probably meet together at conferences, whether it be climbing, cycling or tiddlywinks: and the experienced teach the new boys how to deflect criticism. Stonewalling is the secret, and it’s the part that depresses me most rather than the difference in attitude itself. As the meeting grinds to its inevitable end the troublemakers have opened their hearts; their views are prejudiced, partial and, this being the old guard, hopelessly out of date; but at least you know where you are. The suits remain mum through it all and stare stolidly out from the platform. If only one of them was to stand up and say: “Look, we know exactly what you’re saying, but climbing has moved on and so has the BMC. If you don’t like it, tough. This last criticism has some force. It is hard to find amongst the troublemakers anyone who is intimately involved in the BMC matters of today. And as one of their eminent supporters said to me at the meeting, organisations must take who they can get. 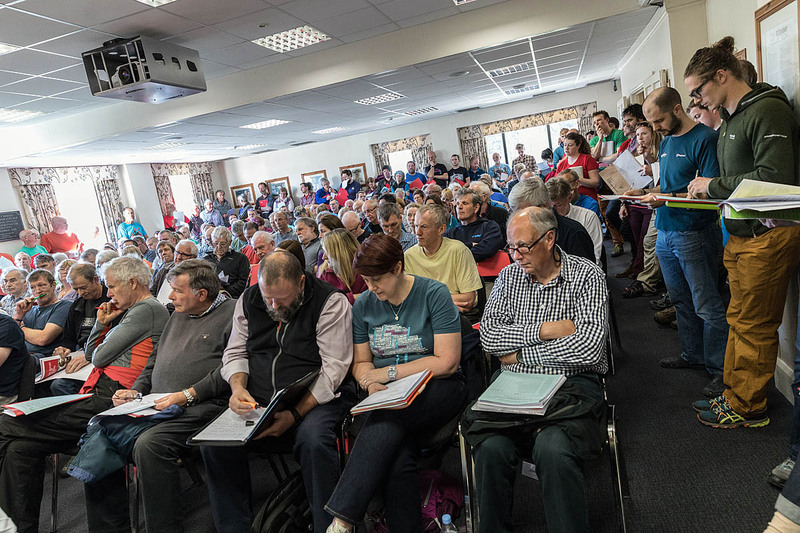 If the traditionalists moan that the governing body is composed of nobodies, whose credentials as mountaineers are minor (with the notable exception of the CEO himself) – well, that is because none of the distinguished are prepared to give up their time. Or have already done their bit. And no-one could fail to notice – could they? – just how distinguished most of the troublemakers at that meeting were. Plenty of ex-presidents and vice-presidents of the BMC itself and of the Alpine Club. And then in his address Bob Pettigrew unveiled his master stroke: the fact that Joe Brown himself had signed up to the motion of censure. Joe Brown having in British climbing circles the sort of standing Attenborough, say, has in nature and conservation, I thought his inclusion, together with the general standing of Bob’s supporters, would have a decisive effect , if not on the suits then on the youngsters. How wrong one can be. Barely a ripple of interest disturbed Bob’s peroration. Apparently this is normal – and who’s to say it’s not healthy too. In Germany and Italy the young admire Messner and Bonatti but are not, I’m told, prepared to be lectured to, even by them. They admire what the old have done in their time, but times have moved on – that endless and inescapable conclusion. Of course, a review of BMC governance and its priorities is underway, under the august chairmanship of a retired judge. No-one can seriously doubt that this would never have happened without the stirrings of the troublemakers, Bob Pettigrew, Dennis Gray, Doug Scott, and many others. Surely they deserve credit for this from all sides of the spectrum of opinion. But it is hard to believe such a review will make much difference. The BMC under Dennis is a body for which I feel nostalgia, but things can never be returned to that. 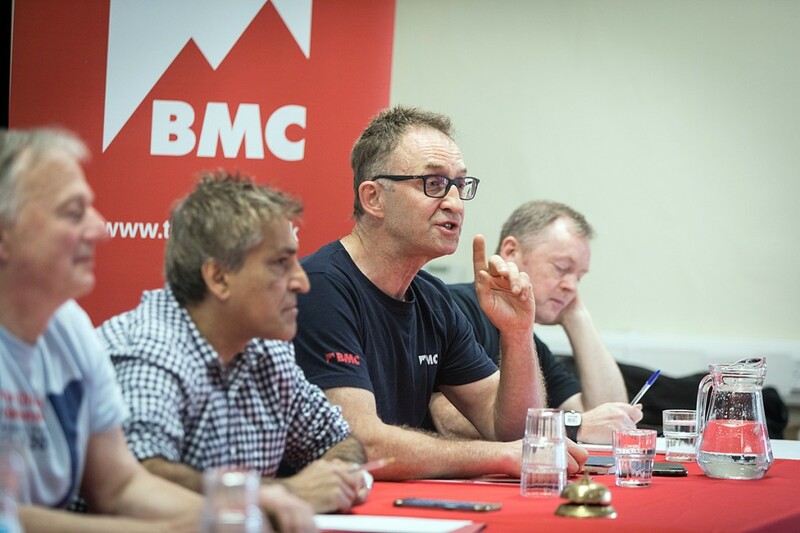 Doug talks about the BMC being returned to its members; but that cannot happen in the way he envisages. The members are too busy doing other things, and the organisation too big. It takes considerable money from the Sports Council and must dance to the Government’s tune. I’ve no idea whether it was intended to convey a message of intent, but I’ve always thought the change in title for the BMCs leader significant, from general secretary as it was in Dennis’s day to chief executive officer as it is now. There was certainly something of the bolshie trade union about the BMC under Dennis; there is something of the insidious government agency about it now. As for the size of the BMC, one is bound to be nostalgic. In the 70s if I rung up their offices the person who answered the phone not only knew how I was, they recognised my voice. If I ring up now the person answering the phone certainly doesn’t know who I am. But much worse, I don’t know who they are. The only way to make sense of this is to remember that I am no longer the BMC’s target audience. At least, I hope not. Some would see such platitudes as just further evidence of the inexorable infantilisation of the British public. But however you view it, I find I can’t read it. And if one doesn’t read the bumf one is in peril of pontificating from a position of increasing ignorance. This sounded a bit melodramatic even for me. But if he meant, as I think he did, the institutional death, then it’s not so far-fetched. That meeting was, if not the last gasp, arguably the last occasion on which the old school would make its position felt in such numbers or with such passion. Whether you like it or you don’t, the way British mountaineering is administered, the way it is perceived, its public ethos, have changed. And there is no way back. But public ethos is one thing; private is another. I take mountaineering to be essentially an amusement. If it is an experience that can on some occasions have profound effects on the individual, it is still a pastime. If it has value to the individual, then it is has no very great social significance. Those who claim, in moments of enthusiasm, that it is ‘a way of life’ grossly overstate their case. In my youth I certainly thought of climbing as ‘special’, quite different – and superior – to any mere sport, and this can still be the case. But for many, climbing these days is simply one of a suite of outdoor activities: a climb today, ski-ing tomorrow, a little cycling on Wednesday perhaps. Claiming for it a profound spiritual or philosophical significance begins to look rather thin. And I can’t see how to define the right and the wrong way to practise it. In decrying modern trends the troublemakers are not stating an objective position but a personal preference, based in all likelihood on the way things were in their own formative years. We can say, I think, that the BMC is fundamentally different to the way it used to be, say, 40 years ago, and we can be sure that it will change still more. We may say that we don’t like this; but we cannot say that it is wrong. For myself, I expect I don’t like it because it is not the BMC of the 1970s, and that was my formative time. And it is only an institution. Not only that, it is an institution one can choose to ignore. We do not live in a time in which you must have certain qualifications before you can jump on a plane and climb in the Himalaya. On driving into Capel Curig we do not encounter a road block and a leather-coated apparatchik who tells us not to proceed unless we have a BMC certificate of competence. I have no difficulty imagining a Britain in which these things are fact, but I cannot see it happening in the foreseeable future – and by that I mean within the lifetime of anyone likely to read this article. On the contrary, we are free. We are free to leave the BMC, and proceed ever further into ignorance of contemporary trends. Whether the BMC is, or should be, a governing body or a representative body, and a thousand other trying matters can, if you so wish, be forgotten. 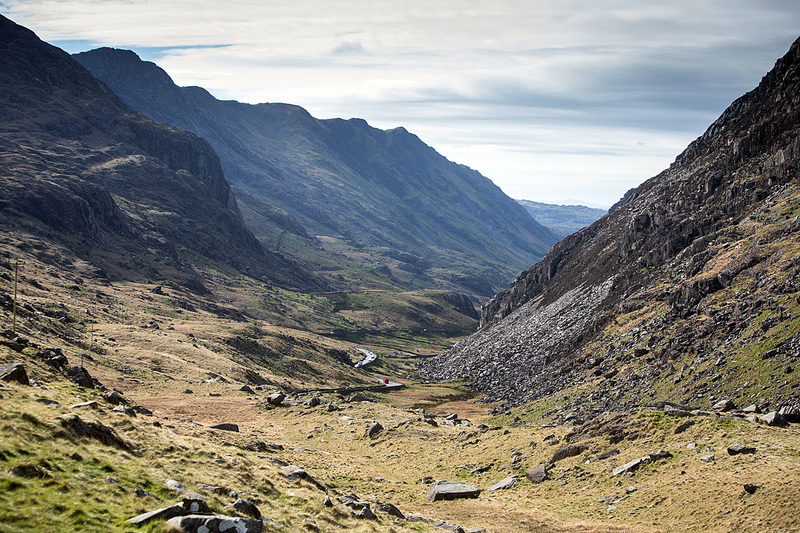 Anyone in Britain can step off the road and begin a mountain adventure and no-one is even going to try and stop them. Involvement in mountaineering mores, its administration, its social life, are voluntary. Anyone who finds contemporary forms too much to take is free to step away. There are costs of course. Some of the troublemakers from that day in north Wales who are members of affiliated clubs feel strongly enough to resent the affiliation fees paid to the BMC. Some I have spoken to feel the current situation intolerable. Such people may feel in time that they have no choice but to resign their club memberships. And there will be some who feel that however sad, that is manageable. This article makes some excellent points, but on the other hand it describes a pretty abstract concept of the BMC as an institution. I can well remember the heady days of the Dennis Grey era, but not long afterwards we saw the organisation rescued from the brink of bankruptcy due to grand gestures such as setting up the national mountaineering museum - supported by several signatories of the motion of censure if I remember rightly. This article unfortunately fails to mention any of the functions that the modern BMC performs, and does very well indeed. I would liken the article to the Brexit-forming nostalgia of a feeling of "Britishness" without making much of an acknowledgement of the services provided by the current institutions. The "dirt bag" days of climbing were great fun, but there is a balance between the individual and society which we rather neglected in those days, to our great collective cost. Thanks to the modern version of the BMC we have many benefits that can only be gained by collective effort, a team approach that includes the best negotiators, lawyers, conservationists, equipment specialists, trainers etc etc. Without the BMC we would still be experiencing crag losses, repeated bolting and bolt removals, escalating insurance costs, ignorance about lessons learned, poor relations with other countries (remember being kicked out of Snell's Field by gendarmes with machine guns and dogs?) Yes we have a lot of climbing walls and competitions, and these require significant resources. (You need to experience these events and venues in order to have a valid opinion about them). Actually there is always an "old-guard" who decry the parlous state of their pastime. 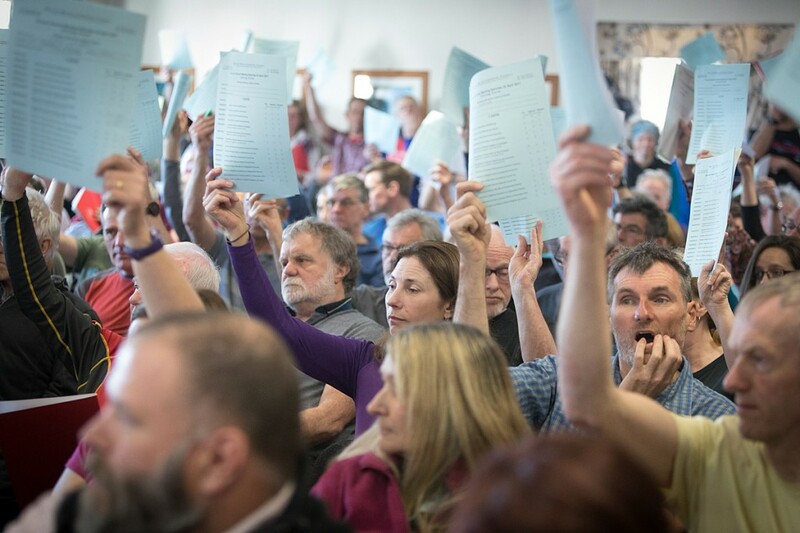 Personally I think that this whole affair was a bit of a red herring, but ironically it weakened the confidence of Sport England in the BMC and so hastened the arrival of the real issue, which is the question of what the BMC should do in the face of decreasing income. The staff team is pretty big now as mountaineering "federations" go. All of them do a great job, but which jobs will have to go? "...the governing body is composed of nobodies, whose credentials as mountaineers are minor (with the notable exception of the CEO himself)"
Seems a bit harsh on the deputy CEO, Nick Colton. I believe he may have done a couple of things. I'm sorry but this article seems like a page out of Bob Pettigrew's seemingly bitter narratives. I'm no defender of the BMC nor do I work for them but this assessment of the BMC is not one I recognise (but then again I'm just another nobody!) And honestly, it matters not how 'important' people are (or how important they think they are) when they are prepared to back unfounded, unproven and unhelpful things that have been said. That is why it was ignored. Just take a look on UKC for how people feel and it is not what is being written here. Are there issues? Yes of course. But calling people 'suits' and 'nobodies' and talking about 'death of mountaineering' is tabloid at best and highly derogatory at worst. The nature of this piece only serves to undermine any credibility of what is being said! Interesting article. But I for one no longer believe the BMC truly represent me. They bang on about climbing competitions in Summit and even wanted to rename themselves Climb Britain. Climbing is quite peripheral to many mountain activities, and Climbing walls though great for training are not Mountains. No doubt the urge to get Sports England grants influences the BMC to emphasis climbing but selling your soul to the Devil never comes out well. I've been a climber and still have minor forays into it, but are we really suggesting that just because I am fading back to summer walking and winter mountaineering, the BMC should no longer represent my views but only the new generation of multi-sports enthusiasts? Of course affiliate BMC membership could still give me insurance but I might hope for more from the BMC. The history of democracy or indeed any society indicates that only by making trouble or waves is any improvement ever realised. The motion may have been quixotic but it was not wrong to propose. "some disgruntled members of Britain’s mountaineering fraternity"
Of which the author is one, I believe. Certainly saw his name among those listed as supporting the motion. Which is no problem, as long as the opinion piece is presented with that clearly expressed, rather than presenting the author as a disinterested observer or mere witness to proceedings. I'm entirely with SH above. In the past I've much admired and enjoyed Phil Bartlett's insightful writing, but I'm dismayed by these belated reactionary ruminations. The very important issues around the BMC Motion were minutely dissected months ago, and Phil Bartlett brings virtually nothing new to the debate bar some regrettable ad hominem insults. To denigrate, if only by unattributable reportage, committed BMC volunteers as 'nobodies, whose credentials as mountaineers are minor' is a sad, deeply condescending little sneer. But then I'm a nobody myself. I was not there, but I was at the AC meeting when this appeared on the agenda for further discourse. Mountaineering to me was all about freedom of expression. Who can judge to say who is right or wrong about what we believe in or feel about what we do in the mountains or on crags or on artificial walls or whatever? Let people be and express themselves in how they feel emotionally and their own representation of what it means to them. Things change and are dynamic as they should be in all corners of life, including climbing. But please show respect to all opinions on this as in the end it’s all subjective and down to our own representation of what climbing is about. We should not judge, but respect different views as that is healthy to exchange and consider as human beings. This should have been sorted out in the mountains, where it’s all about. The Bob Pettigrew debacle achieved only one thing. The resignation of a president who was fairly and democratically elected by me and everyone else who cared to vote. How does that make me feel? Manipulated by an old guard who I once respected. Hmm, I note that the author is described as a 'writer'. Irrespective of the views expressed, this article must be one of the most rambling and convoluted pieces of 'writing' I have ever read on the Grough website! In the way of things the older generation is often told by the younger that 'things have changed so just accept the new order', which in the main is what happens.